So what will the Democrats choose — a fake Latino socialist or a real Latino socialist? So do liberals prefer a costume Latino to a real one? It seems that we haven’t heard enough from the guy with the Latino nickname and Irish surname, as revealed to us through a 12 December 2018 article in the Dallas Observer. Whatever one wants to call the thing that’s going on in presidential politics right now — the money primary, the silly season or the greatest trick Iowa and New Hampshire ever pulled — Texas finds itself squarely in the thick of things, apparently for the long haul. 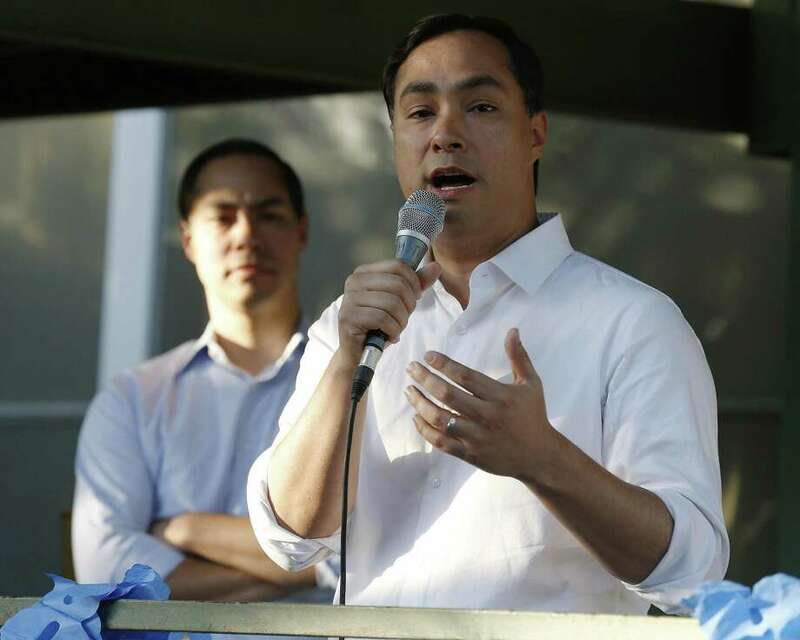 Julian Castro, the former mayor of San Antonio and ex-U.S. housing secretary, has given every indication that he plans to take a shot at the 2020 nomination. In most years, Castro’s anticipated run would be all Texas political junkies had to look forward to as the presidential race heated up. This isn’t most years. Thanks to his near miss against Texas Sen. Ted Cruz in November and a load of fawning national media coverage, Beto O’Rourke, a largely unknown U.S. representative from El Paso as recently as two years ago, now has people acting like he is a serious contender for the nation’s top job. Tuesday, a straw poll of members by the progressive advocacy group MoveOn.org showed O’Rourke leading the field of potential Democratic contenders, with 15.6 percent of respondents saying they supported his candidacy. Former Vice President Joe Biden, Sen. Bernie Sanders, Sen. Kamala Harris and Sen. Elizabeth Warren rounded out MoveOn’s top five. Castro came in 17th, with just 0.48 percent support. Looks like the current run of short-attention-span Democrats (aka the liberal version of the rest of America) have chosen Robert Francis O’Rourke. From reading the previous article, it sounds like Julian Castro should go from calling other Hispanics to action and hinting (as he did in a 12 December 2018 Guardian article) and start the real work of a presidential run. Julián Castro may have the worst poker face in American politics as the Democratic party prepares for an intense contest to pick someone to try to defeat Donald Trump. Is he leaning one way on whether to announce a presidential bid in coming months? “Well, yeah,” he chuckled when asked the question at a UN gathering this week. It is no secret Castro has been acting a lot like someone who plans to seek the the White House. On Wednesday he announced the formation of an exploratory presidential committee – a technical step that allows him to begin raising funds. The former San Antonio mayor and secretary of housing and urban development (Hud) under Barack Obama has already held events with prospective donors for a 2020 campaign. He told Rolling Stone in October that he is “likely” to run. So, Democrats, what will it be? Do you want this experienced socialist that has been in the wings for years? Do you want an Anglo Barack Obama that is Hispanic in nickname only? Julian Castro moves toward 2020 White House run ksat.com/news/politics/… ESTAS PENDEJO!!! YOU ARE AN IDIOT! SOCIALIST!